Years ago we told you about Yves Rossey, a.k.a. Jetman, when he managed to pull off some aerial loops and roll himself like a plane while wearing a jet pack, thousands of feet up in the air and at over 200 mph. He was 51 at the time. Rossey must be getting bored. He released another video a few weeks ago and he is jet free this time. Yep. A human glider. (at age 53 to boot!) And apparently there will be an opportunity in the future for you to learn the art of gliding from Jetman himself. Name the variety of things you have used as a typing stand. The wall, with paper taped to it, is probably on your list – at least until the corners curl and you have to use more tape…and pull paint off the wall. My office phone used to sort of work. It would prop things up at least. 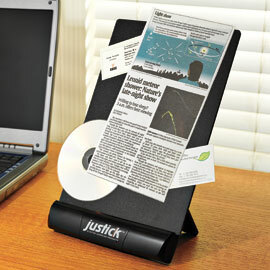 Maybe you got one of those fancy ones that hangs off the monitor. Sure stinks if you need to type off of something that isn’t paper though. And of course there are the traditional typing stands that have a secure way to hold things down…which is inevitably in your way as you type. Ever wondered how it feels like to wear a robotic suit on your daily walkabout? 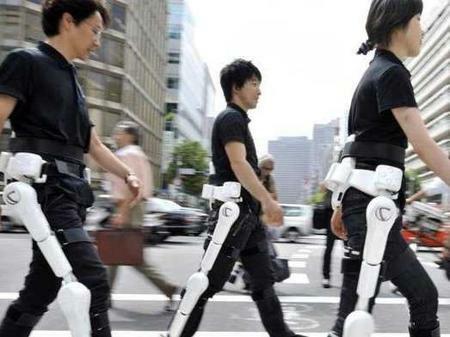 Japan, a country where robots rule (all right, I am saying that with extreme liberty. Robots do not “rule” there per se, but rather, the proliferation of robots in everyday life as well as culture is extremely well known), might soon help fuel an explosion of “robo mania” of sorts, by approving a new robot exoskeleton suit for a global rollout sometime down the road. Skewers give a great way to feed just about any crowd. Prep your proteins and veggies and let your guests load up their own creations. Everyone gets fat and happy so to speak. Do you ever look at the grill after such an undertaking? Inevitably some food gets sacrificed to the grill. A lopsided zucchini slice does not hold on or a cube of beef just gives way. There is only so much a skewer can take after all. 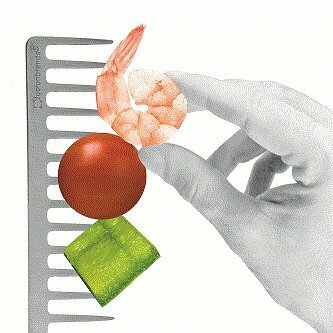 Which provides a perfect reason to invest in a set of Grill Comb Skewers for $14.95 on Amazon.com. Did your grandparents have a light timer in their living room? I think many did. Back when burglaries were fewer and farther between it made sense. Unfortunately crime is on the rise. (I’ll resist going on a political tangent) Burglars are much smarter. So we the home owners/dwellers must better prepare our domiciles. House sitters have become a popular option. Or maybe your neighbor stops by to turn lights off and on. 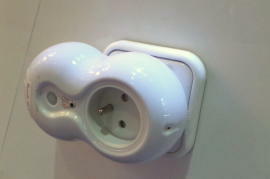 Smarthomes enable remote control of many items in the home. But not all of us can afford a True Smarthome (or can’t retro fit ours). I guess you can more or less say that in this day and age, it is no longer considered as a luxury to actually own a semblance of a home theater system. 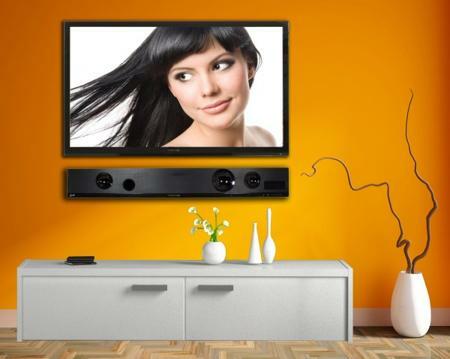 Thing is, most of the time, such home theater systems do not come cheap – not by a long shot, but thankfully, there are some manufacturers out there who know that not everyone prints money or has an inexhaustible bank vault to fall back upon, which is why the good people over at Sceptre have come up with the Sceptre SB301523 Speaker Sound Bar 2.1. Say you had a goal. Not only did you meet your goal you reached it to the tune of 6241%. Probably a good indication you succeeded, eh? Meet 3Doodler, a 3D pen. Their creators began a Kickstarter campaign earlier this year to raise $30,000. With 26 days to go they have $1.8m pledged. I think 3Doodler has a future, how about you? In a world of partially funded projects it is nice to see someone hit it out of the proverbial ballpark. Now here is another smartphone from Finnish handset manufacturer Nokia that runs on the Windows Phone 8 platform that will maintain a balance between features and price, ensuring that your pockets will not be burnt and yet you will have a smartphone that will be able to duke it out with the best of them in terms of productivity. The smartphone in question? 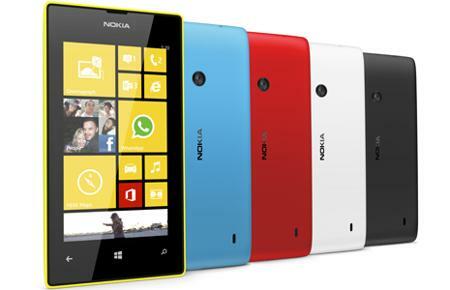 The all new Nokia Lumia 520.